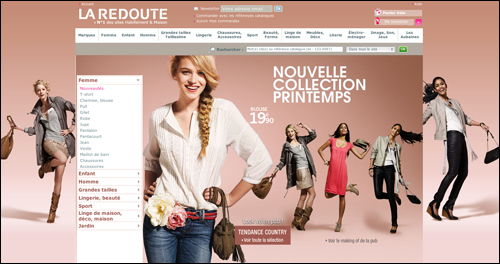 I was in Paris the other day and came across the latest campaign from French online clothing retailer La Redoute. The first thing that caught my eye was of course the pixelated trails that were coming off of the images of the models. At first, I thought I had stumbled across an always pleasing moment of unintentional design, the billboard print escaping some quality control, as celebrated perfectly in the book Glitch: Designing Imperfection. But then I realised it the pixel motif was intentional, and it then became even more interesting to me. Of course, the actual intention is most likely less poetic and far more pragmatic in communicating the digital origin in the campaign. And that is obviously connecting the imagery directly to the store’s website. It is impossible to look at the adverts and not think one thing: digital. 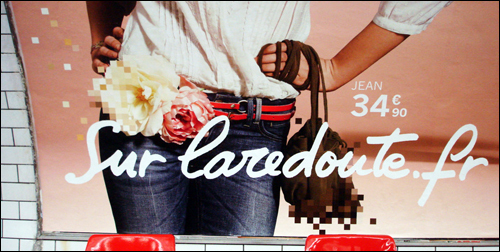 You see the clothes, and understand that the digital experience is directly tied to them. That the fashion and the lifestyle is accessible, but there is something in the way of it becoming real, and that thing is the digital world. So just visit the website, and you can remove this barrier.